This mexican producer is considered by the press as one of the finest composers of contemporary music and now returns with a new album called Isaac Junkie: Essential 1998-2014. As the name suggests, this album contains the essential songs in the history of 16 years of career and includes many of the most amazing voices of the current scene: Andreas Kubat (Northern Lite), Daniel Wollatz (Minerve), Lars Rhonstock (Perfidious Words), Max Demian (Babylonia), Andy Bell (Erasure), Glenn Gregory (Heaven 17), Claude S (Anything Box), Chris Anton and Paul Robb of Information Society between others. 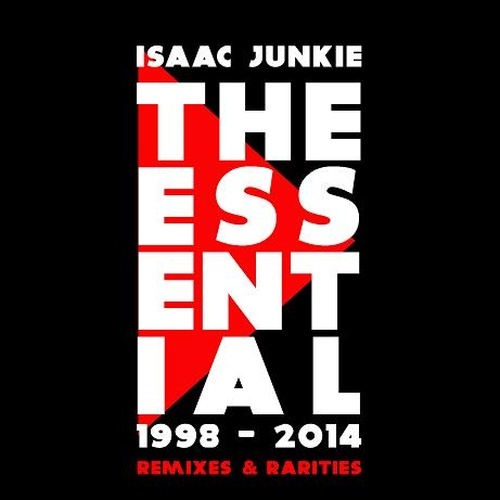 This Essential album is a double album, the first cd contains the most representative singles in the Isaac Junkie´s career like "Talking about love", "Save me from myself", "Walking away", "Something about you", "Breathing love", "I'm lost in you" "A place" among many others. Further including two non released tracks "Love comes as a surprise" wich will be the first promotional single with Andreas Kubat and "Break the Silence" with Alex Braun from Distain. The second cd includes some non released remixes, covers, and 3 acoustic versions of most recent singles. Isaac Junkie reaches the apex of his career when worked with iconic pop legend Andy Bell (Erasure) and Glenn Gregory (Heaven 17). two great vocalists of the 80's bands.